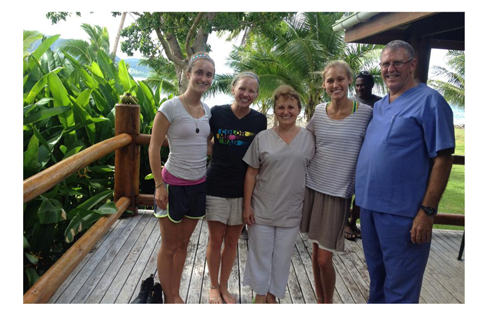 The University Group Mission is a wonderful opportunity for University students who are nursing, dental or pre-med students, education students, or those who want to experience another culture in a beautiful local in a fun and faith-filled environment. Please scroll down to view more University Experience videos. 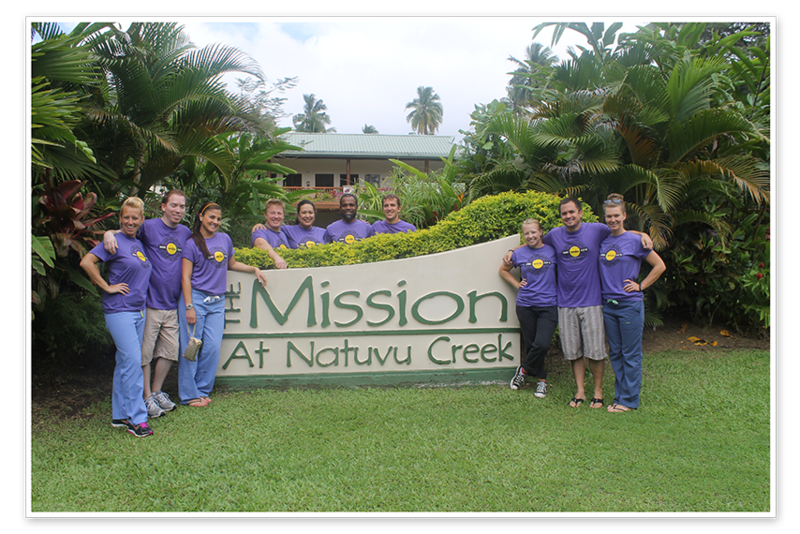 The Mission at Natuvu Creek is also a teaching mission for University Groups. Each year, groups of university students from the United States and Europe come to the mission for anywhere from one week to one month to learn, to serve, and to grow in skills, community and faith. Each day after breakfast with fellow clinic attendees and staff, students will spend the day working in the medical clinic, on the clinic grounds, in the school, or in the local village. 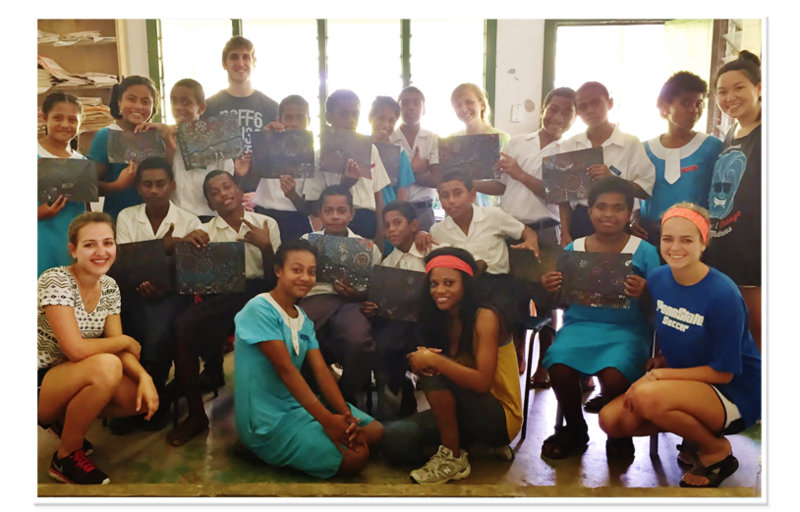 Evenings and off-days are spent in the community of friends and staff – eating, singing, dancing, playing games, and, of course, enjoying the beautiful warm ocean waters of Fiji – right outside your door. The clinic offers swimming (both pool and ocean), snorkeling, kayaks and, on weekends, climbs on the volcano, including to the historic and sacred “Cannibal Cave.” Students also enjoy excursions to nearby Rainbow Reef for snorkeling and hiking, beautiful Bouma National Park Waterfalls, Kioa Polynesian Village, Gaiatree Organic Sanctuary, and Taveuni natural rock waterslide. The Mission at Natuvu Creek stresses healthful living, including a mostly vegetarian diet. It is a tobacco, alcohol and drug-free environment. The Mission at Natuvu Creek promotes health, education and community for young people. We hope to build a sense of global responsibility that will last a lifetime. Loloma Foundation Report from Mission at Natuvu Creek on Vimeo. 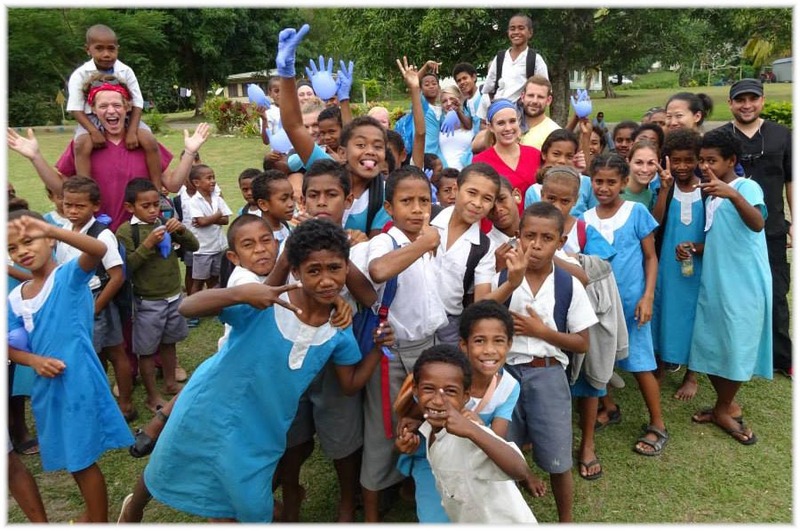 Fiji Project Serve-Pepperdine University from priyanka shah on Vimeo.